This hardback edition is ideal for advanced (C1-C2) learners of English and contains up-to-date vocabulary, including words from the areas of technology, media, language, society, and lifestyle, plus important words for academic study. With over 140,000 words, phrases, meanings, and examples, hundreds of pictures and illustrations, clear definitions and a new 'Focus on Writing' section, the dictionary is perfect as a reference tool and as a study companion. Informed by the Cambridge International Corpus and correlated to English Vocabulary Profile, it is also ideal for exam preparation. 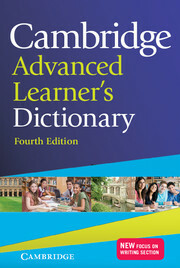 A version of this dictionary with CD-ROM is available to purchase separately. 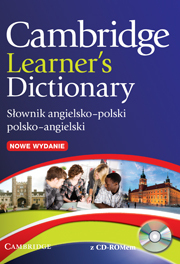 This is a semibilingual Polish version of the Cambridge Learner's Dictionary, with definitions in English and Polish translations of the headword for each sense.